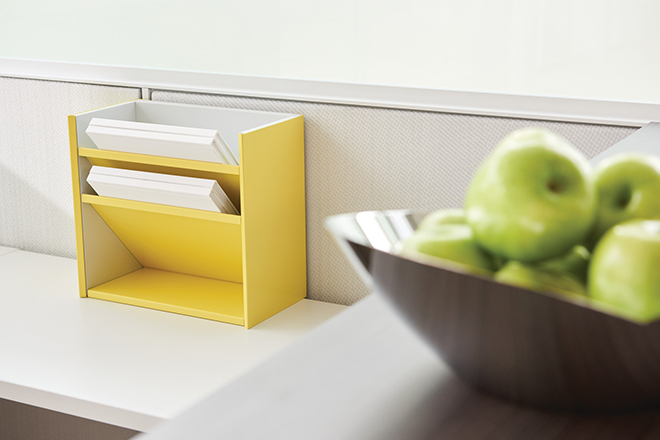 upStage™ is a new design concept that elevates the lexicon of modern office furniture. upStage changes the way we create the spaces we work in. Just as mid-century modern design transformed 20th century interiors, upStage brings a new topography to today’s office. 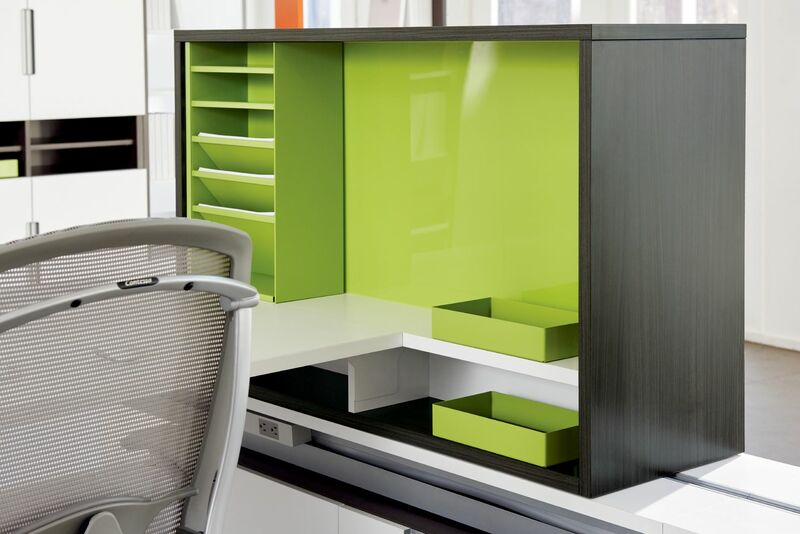 Based on a simple platform or “stage,” upStage frees users from the constraints of a benching frame or panel, allowing you to build along a horizontal or vertical plane to create layered worksurfaces and multi-story volumes. upStage is real furniture that can be mixed, stacked and moved around. 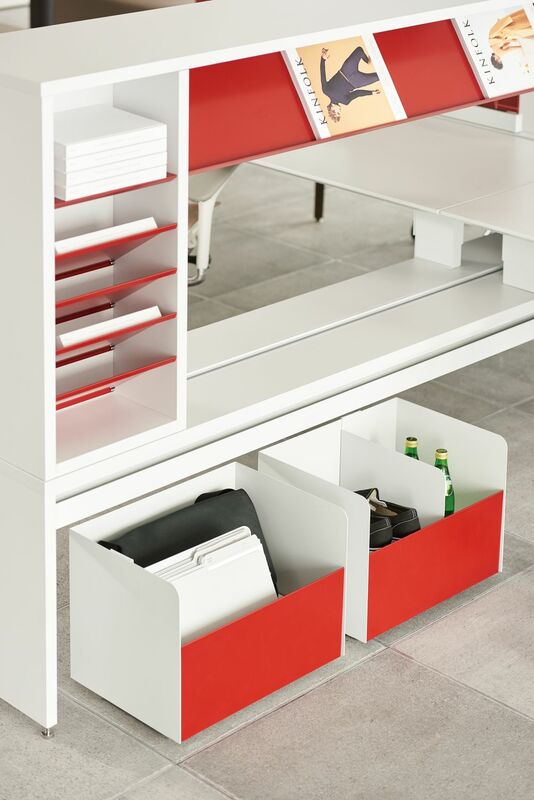 upStage offers a fresh, new-century look, feel and functionality – a new and more engaging office experience. upStage sets the stage for creativity, innovation and transformation. Real Furniture. 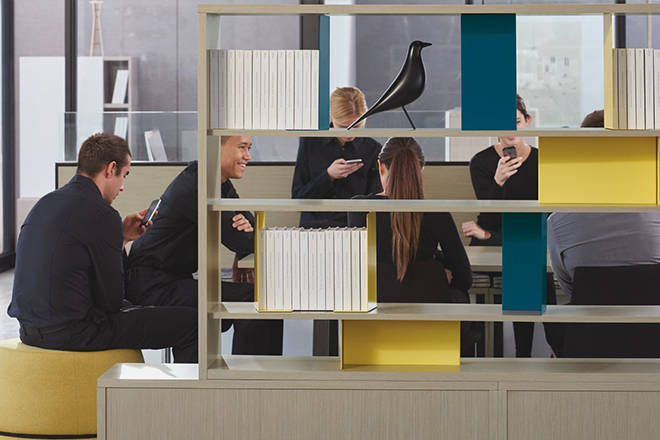 A truly unique structural product, the staging unit integrates a full complement of desks, height-adjustable tables, cabinets, shelves, cubbies and screens – and serves as a conduit for electrics. Every element simply moves into place and fits together, offering innumerable combinations and fresh design concepts for a dynamic and collaborative workplace. Creative Freedom. A rich material vocabulary gives designers an opportunity to be original and bold; to use color and texture to create a more varied and more inspiring work environment. upStage offers a myriad of options, including textiles and wood veneer, translucent and back-painted glass, perforated metal and a range of beautiful metal finishes. User Choices. 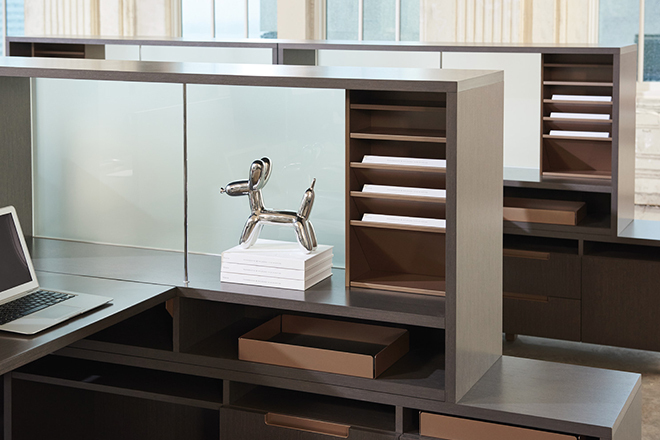 Offering an array of versatile furniture pieces, upStage gives users the ability to tailor the layout and configuration of their own workspace, the position and height of desks, cabinets, cubbies and screens. 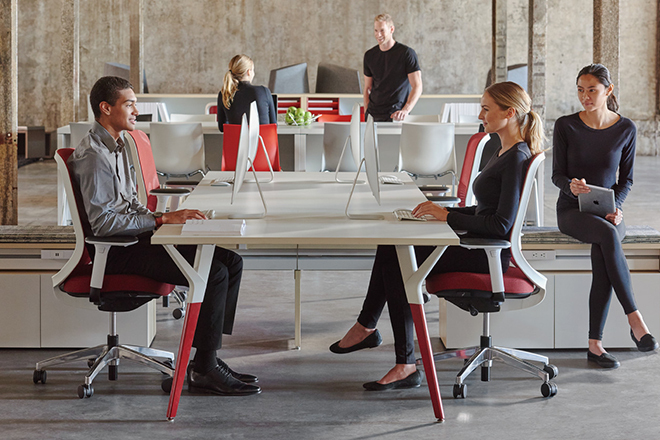 Equally, teams can create the workspace that works best for their project, moving tables and desks around and adjusting the level of privacy. As priorities change, upStage adapts.